Santa Cruz, CA – When it comes to amplifying this trendsetting company, nothing stopped UpTurn from wanting to put our microphone up to the sound of Cannabis Club TV! You may recognize CCTV from their articles on CNET, Forbes, Weed Guide, or you may have even seen them hangin’ around your favorite dispensary with Tommy Chong. Their blunt, but rooted squad is firing up to new heights and we’re here to help them tell their impressive story. UpTurn Agency is stoked to help them get the word out and are on fire to help them burn up the media! 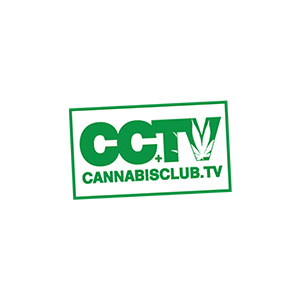 If you’re new to the marijuana industry, Cannabis Club TV is the first broadcasting network faithful to the cannabis industry! Their official outlets are OOH, OTTtv and PPV (Out of Home|Over the Top TV|Pay Per View). CCTV’s top quality tv screens are certified by Tommy Chong, and available at dispensaries, on the internet, on your home TV and via a mobile app. They take the cannabis industry to the next level by producing and promoting relevant marijuana-related news into highly populated, well-established dispensaries. Co-founders Danny Keith and Dana Knopps met while working for the NBA team, Golden State Warriors, and believe that there is a place for high quality content in this growing industry. Both founders are advocates for marijuana and believe in Cannabis Club TV’s main goal: providing solutions for brands, dispensaries and patients. Join UpTurn in keeping CCTV lifted and watch our dank journey by clicking below!